Ello, which launched in August, has also become a Public Benefit Corporation, which prohibits its current and any future owners from breaking that promise. The network plans to make money by introducing micro-payments for additional features. Investors have pledged $5.5m (£3.4m). "There are 'freemium' successes like Linked In and in gaming. Ello is taking a unique spin on this," said Lee Bouyea, of Fresh Track Capital, one of the platform's new backers. "We are long-term investors. We have a company on our portfolio we invested in for nine years before they were successful. We look long term for a company to grow something of scale and value." Some experts have argued that people are not prepared to pay to use social media platforms. "You don't invite your friend to connect with you if it costs your friend money. Even in the world of digital music, you can pay for services but most people don't," James McQuivey, an analyst at tech research company Forrester, told the BBC recently. But Ello founder Paul Budnitz insists his business can thrive without advertising or data mining. "Our business model is tried and true - it's used all over the place, it just hasn't been applied to social networks," he said. In the event of an acquisition or asset transfer, the Company shall require any acquiring entity to adopt these requirements with respect to the operation of Ello or its assets. "You get an iPhone and it comes with basic apps - you can call, text and so on, but everybody buys apps because they want to customise their experience. "For a few dollars, you can customise Ello to do what you want." He added that the decision not to explore user data was already saving the company money. "If you ask me what the demographic of the Ello user is I can't tell you - I don't know," he said. "Maybe anecdotally but not at a granular level. 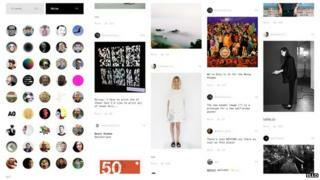 "While Ello has grown incredibly fast, we still have 14 staff. "We're adding a few more people to help handle growth - but because we're not selling ads or mining data, there's a whole load of people we don't need to hire."